Built in 1886, for Mr George Alexander Smith, Sennen House is Picton’s most magnificent colonial villa. George Smith was born in Newcastle upon Tyne, England and is believed to have sailed from Aberdeen, Scotland, arriving in Nelson in 1862. In Britain, George Smith had run a successful building business and he continued and developed this trade in New Zealand. 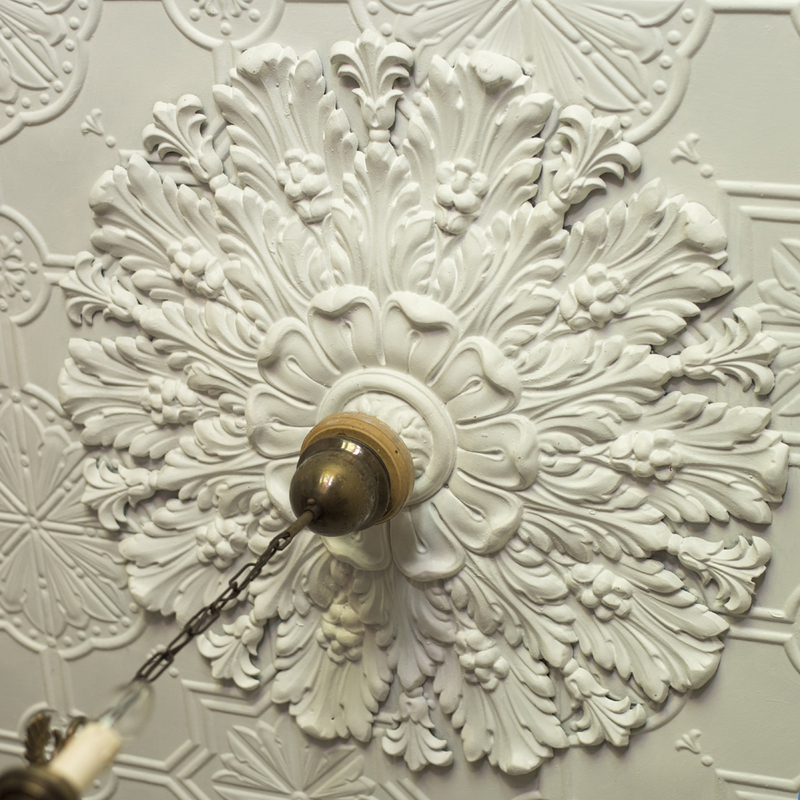 The Smith family were involved in the timber business owning local saw mills, and a joinery venture which made furniture and architectural features. 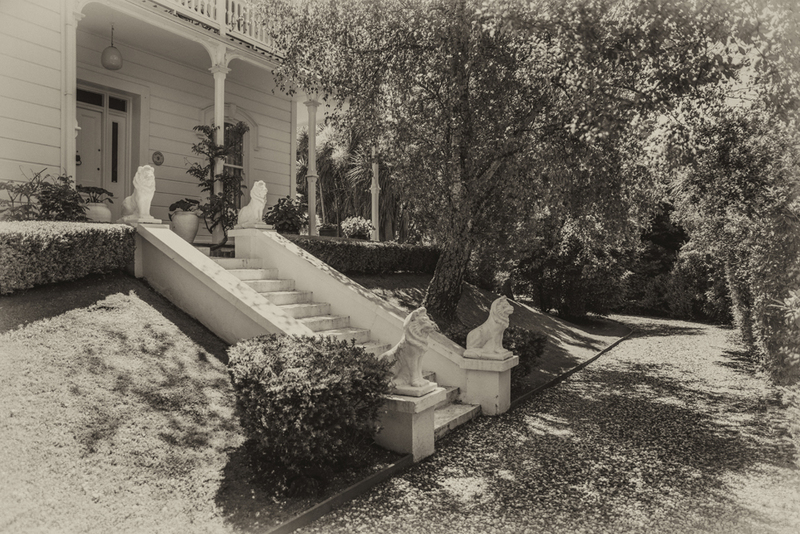 It is quite probable that the fine kauri staircase, deep skirting, bay windows, ornate cornice and panelling both inside and outside the house were his family’s own work. Although this is the case, it appears that the house itself was built by a Mr. R.A Storey, as during renovations in 1978, builders uncovered a weatherboard he had signed and dated at 9.30am on December 7th 1886. 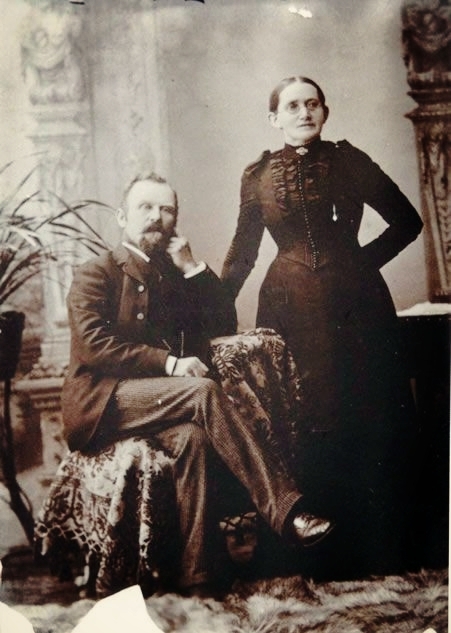 Mr. Smith married Miss Naomi Bragg in 1886 and together they raised 14 children in the grand villa, which at the time had 7 bedrooms. 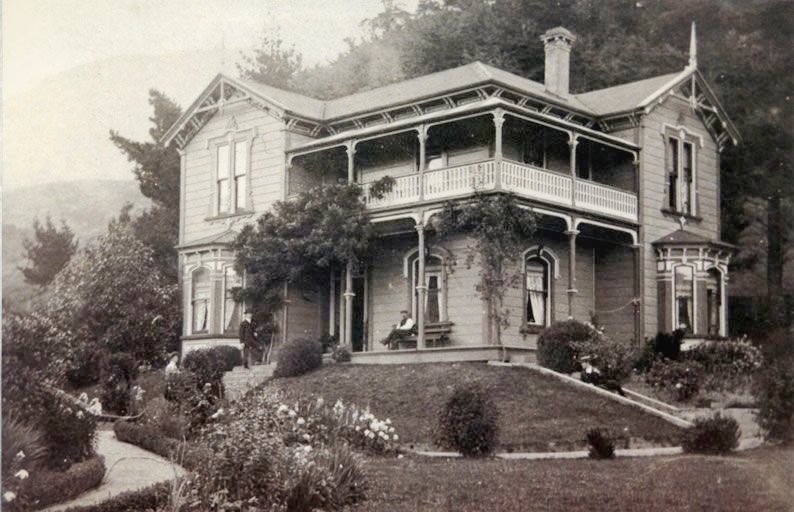 The house has always been a prominent landmark in Picton, appearing in early photographs and originally being sited on 25 acres of land. As his children grew up, George Smith gifted various parcels of his land to them and each built their own home. It is interesting to consider that many of the smaller villas nearby Oxford Street would have been part of his family’s estate. In 1944, the house was sold to Mr Harry Donald McArthur, who lived in it until, in 1965, Mrs Margaret Lee, having seen an advert for a ‘colonial home’ in a Wellington newspaper, saved it from demolition. Throughout her ownership, the house underwent extensive renovation, including the replacement of every 12 inch rusticated rimu and totara weatherboard on its exterior. The roof and foundations were also replaced and the old scullery demolished as it was beyond repair. Further renovations were carried out by Claudia and Michael Scheffler who bought the house in 1988. 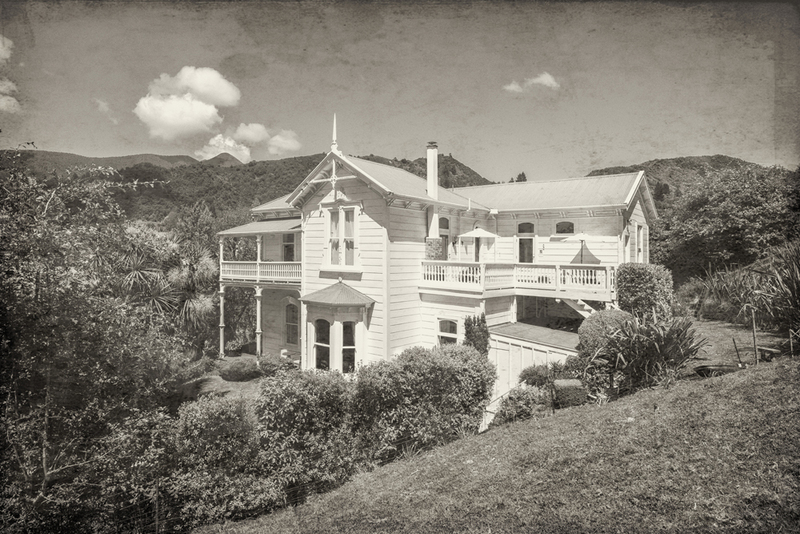 The Property is registered under the New Zealand Historic Places Trust and still retains all its elegance and charm, not to mention its unique and fine architectural features. Embossed panelling lines the side of the grand kauri staircase, at the top of which is a magnificent stained glass window. The drawing room features an ornate pressed steel ceiling with ornate cornice, and the fine rimu doors are of magnificent proportions. The exterior of the house no longer sits on its 25 acres, but is set in formal gardens with a backdrop of native bush, perfectly displaying its fine verandahs, and detailed exterior woodwork. The wisteria, which appears in early photographs, still twines its way up the side of the house. In 2001 the house was purchased by Richard and Imogen Fawcett who were responsible for the restoration of the interior and grounds in keeping with its aristocratic style and era. 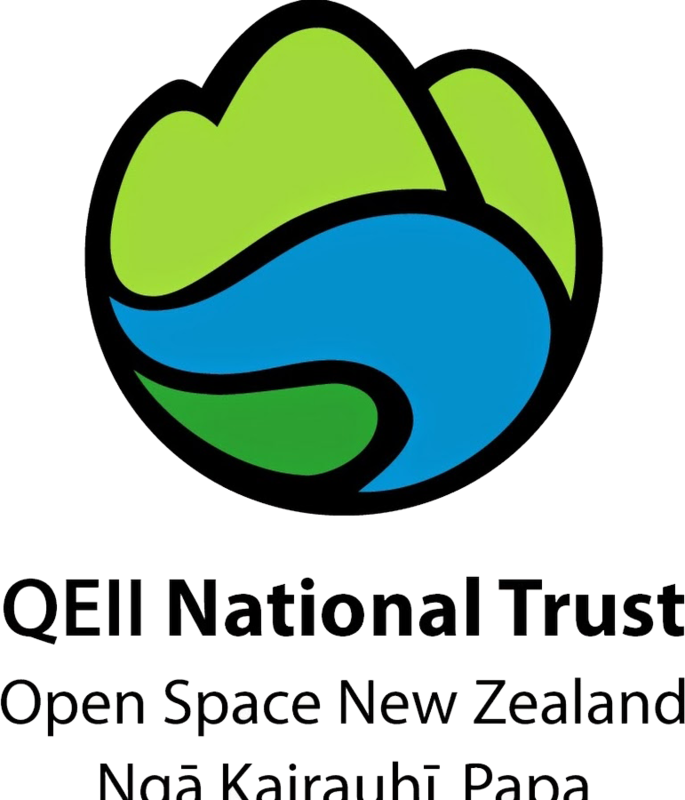 In March 2006 the house, grounds and native bush were covenanted under the Queen Elizabeth II National Trust to further protect this important natural habitat together with the significant historic and architectural merit of the property. A number of trees, planted when the property was built, such as the oak trees in the paddock and the camellia tree to the rear of the property are also protected under this scheme. Stephanie and Don purchased the property in July 2015. 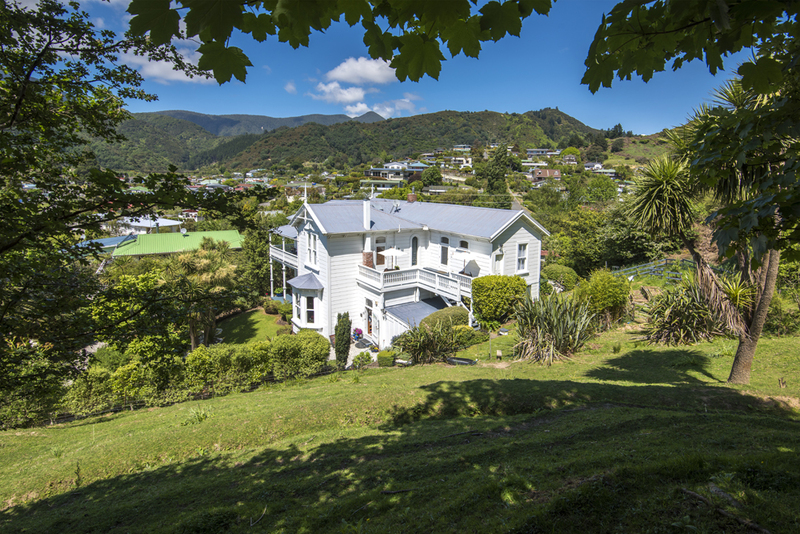 As new owners and privileged guardians of this grand old villa and its ‘new friend’ they hope that they can help it to remain a part of New Zealand’s heritage for many years to come.